Glenn Hughes has always been a hidden, overlooked talent in my book. The man came to prominence first with rockers Trapeze, before moving into the high profile of Deep Purple during the Burn period. Since then there has been the odd solo stint with a few notable keyboardists, including Keith Emerson’s ad hoc live group, with Marc Bonilla, and even an album with Asia’s Geoff Downes, further cultivating an accessible songwriting style. 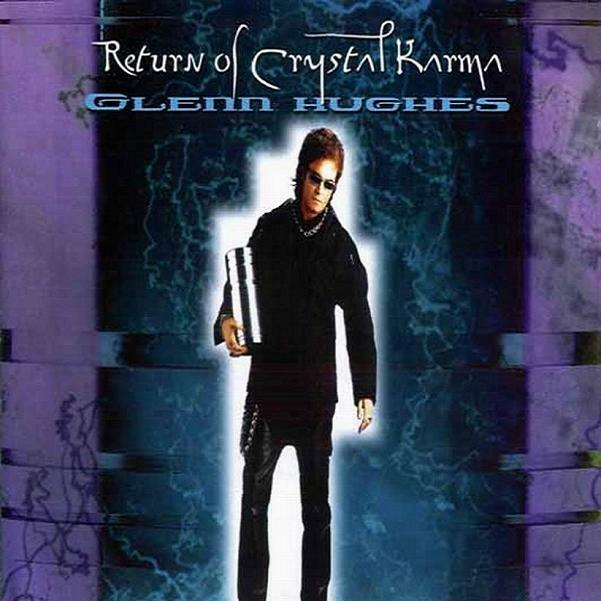 Return of Crystal Karma can be seen as an additional statement of Hughes’ career as a funky vocalist and bassist while working with a supporting cast of German musicians to flesh out a high caliber, soulful blues-rock. The first track is a sly blend of Gary Moore’s blistering solo work or more recent Purple. “Owed to J” is an obvious tribute to Jeff Beck and Jan Hammer, with J.J. Marsh doing his best impersonation paired with keyboardist Hans Zermuehlen. “Days of Avalon” follows a similar mode as a strong power ballad, which may find a home in happy rotation on German AOR radio. This edition of the CD comes with a live in South Africa disc, where several of Hughes’ better collaborative pieces are served up, including “No Stranger to Love,” written with Black Sabbath’s Tony Iommi. Also included are rocking live renditions of the last two tracks from acclaimed Hughes / Thrall albums Coast to Coast and First Step of Love.